MIL-53(Sc) (Materials of Institut Lavoisier) is a metal organic framework (MOF) made up of scandium and oxygen (ScO6) with 1,4-benzodicarboxylic acid between the nodes. 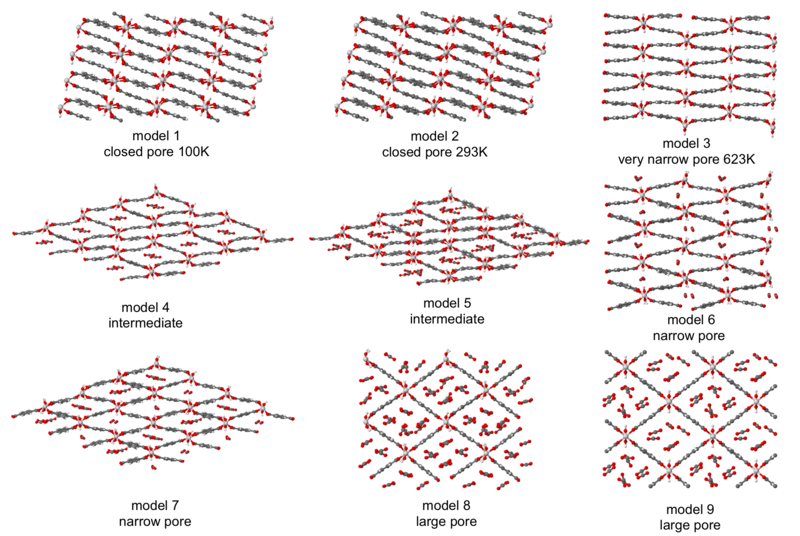 This is a flexible MOF which changes pore size and shape upon heating and adsorption of CO2. The structures were calculated using DFT.